Industry has overcome demonetisation and the GST impact substantially. The upcoming festive quarter will be the first after two years when there will be no after-effect of either demonetisation or GST. The Indian Incense Sticks (Agarbatti and Dhoop) Market, as per reports, has achieved a potential growth over the last few years and is forecasted to be growing at a healthy 10-12%. To tap the competitive festive season one of the largest Agarbatti player in India, Mysore Deep Perfumery House (MDPH) under its flagship brand Zed Black, has launched a innovative range of Agarbattis and Dhoop sticks in various sizes and colours that can be used for gifting. Every festive season in India, people are always looking at gifting something worth to their loved ones. 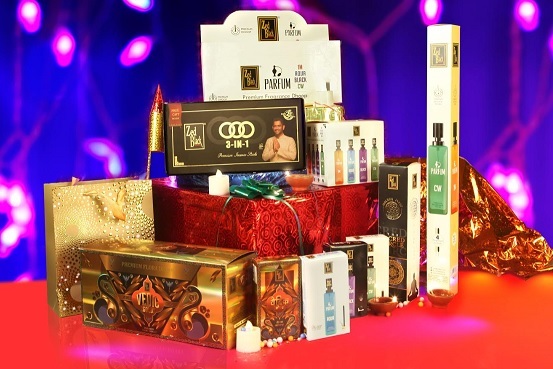 Keeping up with the trend of introducing new and innovative products, this festive season, Zed Black has launched 2 Giftboxes – “Zed Black 3 in 1” and “Parfum 6 in 1”. Apart from exclusive packaging, these giftboxes have unique fragrances which create an aura to build the perfect festive mood. It is a perfect gift for your loved ones as it will keep an atmosphere of positivity, happiness and optimism. Another series, “Golden Myst” consists of 4 new fragrances namely Lotus Feet, Pristine Ayurveda, The Sacred Circle and Divine Yoga, which has 4 handpicked perfumes based on ancient recipes from vedas which brings energy, joy, peace and harmony. Also based on Vedic recipes, Zed Black has launched a unique concept of Flora Dhoopbatti by the name of Vedi Gold Dhoop for those who want their surroundings to be filled with devotional & soothing charisma. The aroma from Vedi Gold Dhoop creates soulful energies around you. Zed Black has also introduced excellent gifting options with 19” Long Parfum Agarbatti Sticks and Parfum Series Dhoop sticks. Traditionally agarbatti’s are used for prayers and rituals, but these parfum series agarbattis also double up as room fresheners. The 19” agarbatti sticks are made using a range of international perfumes and they burn for around 2 hours, leaving a fresh pleasant feeling all around the house. Another excellent addition, are the Parfum Dhoop sticks, which spread the fragrance all over the house. Ace cricketer M S Dhoni has been leading the Brand Communication for Zed Black and MDPH as he embodies the company’s tagline, “Prarthna Hogi Sweekar”. From a humble beginning in Indore where the business was established 26 years ago by the first generation, the family-run company, MDPH, is now helmed by the second generation and has a nationwide and indeed international presence in its sector. Zed Black’s parent company, MDPH, was started in year 1992 as a household agarbatti packaging unit. Today, Zed Black is one of the top 3 manufacturers of Agarbatti in India with a focus on growing its core brands across categories.